YANGON—Myanmar’s last royal capital, Mandalay, was recently ranked by CIO Asia as number fifth among the top 10 cities in Southeast Asia in the process of becoming “smart cities,” a ranking which is based on information from The ASEAN Post, The Economist Intelligence Unit,a the network’s own project profiles and Govlnsider. 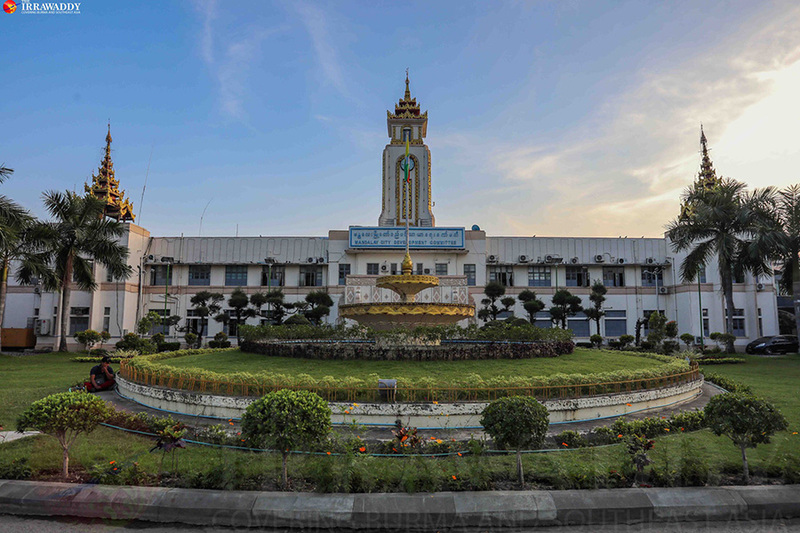 Mandalay City Development Committee (MDCD) has drawn up a 30-year urban development plan with a vision to improve the water supply system, wastewater treatment and solid waste management using smart technology. 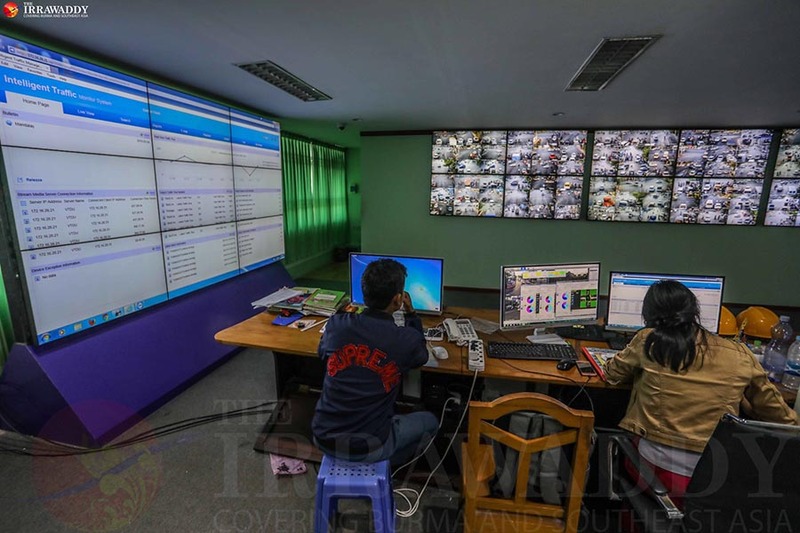 Sensors have been installed on the streets of Mandalay to monitor and control traffic in real time and to monitor the condition of pipelines and water meters as well as a new electronic toll-payment system. The efforts show Mandalay has strong potential to achieve its goal of becoming a “smart city” along with more than 20 other contending ASEAN cities. U Ye Myat Thu, Mandalay’s smart city officer and committee member of MCDC spoke with The Irrawaddy’s reporter Nan Lwin about recent developments, the technological transformations of Mandalay municipality and challenges that may come in the process of gaining full smart city status. Recently, Mandalay was recognized by CIO Asia as a Southeast Asian city in the process of becoming a smart city. It was ranked as the fifth most promising city on the list. Over MCDC’s two remaining years in term, how do you envision this happening? Some people may think a smart city is like something out of a James Bond movie where you would see lots of high-tech weapons or something like that. Perhaps some may think that everything in the city will be transformed into a luxurious form using a huge amount of money. Definitely not. Actually, a smart city is one that facilitates public services using technology. Mandalay is now using sensors which keep real time traffic light records and monitor traffic congestion through automated control centers. The sensors also track the condition of pipelines and water meters in real time to identify leaks. The city now uses a radio-frequency identification (RFID)-based system in a new electronic toll payment system. Early this year, while Singapore took the position of chair of ASEAN, the country’s prime minister Lee Hsien Loong proposed the ASEAN Smart Cities Network initiative. All ASEAN member countries agreed to collaborate in the initiative in order to promote smart and sustainable urban development. Among more than 20 participating cities, our processes have shown strong improvements in [the process of] achieving our smart city goal. Hence we are considered to be in the process of becoming a smart city and already have some features needed to get full smart city status. What are the characteristics and framework for an ASEAN smart city? The official Smart Cities Framework is based on partnership and funding. The framework has six main areas— Civic and Social, Health and Well-being, Safety and Security, Quality Environment, Building Infrastructure and Industry and Innovation. In each area, there are categories to improve in such as Culture and Heritage Tourism, Public and Municipal Services, Governance, Housing and Home, Healthcare, Education, Resource Security, Cybersecurity, Public Safety, City Surveillance and Crime Prevention. Here in Myanmar, Culture and Heritage, Resource Security, Cybersecurity, City Surveillance and Crime Prevention and Trade and Commerce are under different ministries. In other countries, those sectors are under the control of a mayor. Unlike other countries, we can’t control all sectors included in the ASEAN Smart Cities Framework. However, public and municipal services, governance (only e-government), environment quality, resource access and management, urban resilience, traffic control, buildings and construction are under the MCDC’s umbrella so we can transform those sectors using technology. What are MCDC’s main technological transformations in Mandalay? It started with garbage collection trucks. We installed GPS and software to monitor their routes and daily duty areas. We installed an alert system so if they don’t go to a township where they are supposed to collect the garbage, we are alerted. We are using IOT (Internet of Things) sensors on the street to keep track of vehicles. The sensors also scan vehicle numbers; we can track their route from the control room with real time control monitors to see whether they ran a red light and which direction they are heading. We installed CCTV cameras at traffic lights. Some cameras can clearly see whether the seatbelt is fastened and also how many people are in the car. All the data is directly sent to the control room. By entering the vehicle’s plate number, we can find details on the vehicle’s routes. It can help the crime unit and investigations. The traffic lights are automatic and adjust depending on traffic congestion. If there are no cars on the other side, the green light will turn red automatically. As in the system currently used in Singapore, vehicles from the other sides can pass through. By using technology, we also receive traffic congestion data. Therefore, we are able to learn which streets should be one-way or two-way. A Radio-Frequency Identification (RFID)-based system has been installed at the toll gates. It is an electronic payment system. We assembled laser walls at every highway toll gate which scan the size of the vehicles and calculate the payment due. Traditionally, tolls were paid by hand at the toll gate. We didn’t get detailed data. The cash that we received was always less than the actual number of vehicles. There were cases of corruption; the accounts used to be wrong. Now most of the highway companies are satisfied with our electronic prepaid payment system because they can track their vehicles and also receive detailed data. Moreover, they don’t have to spend extra money on a machine for counting exact cash amounts. MCDC is introducing a 3-R (reduce, reuse, recycle) recycling system to the citizens. We have installed recycling bins for different types of waste in many places. Students are learning about the recycling bins at school. We are training them on how to put the waste into the different bins (paper, cans or plastics). Can you elaborate more on the details of Mandalay’s 30-year master plan? We only announced the new garbage system to the citizens, but we have also started using an automatic meter-reading system in some townships with which government staff can record water usage on applications on their mobile phones just by walking in front of a house. We also installed sensors to record how many gallons of water are wasted. Those projects were funded by the Asian Development Bank (ADB), Netherlands, Japan and other countries. Drones have recorded the details of city planning and buildings. Moreover, we are re-collecting citizen data including family member numbers and properties and the number of vehicles. The project aims to produce a new dataset. If we know the number of family members, we can trace how many tons of garbage they produce. If we know how many vehicles they own, we can calculate traffic congestion and a potential new street-planning system. It is interesting: we just received new figures for the city’s population and housing. For example, previous data showed one million buildings while our new data shows double that figure. Based on the new data we can receive more taxes from the citizens. MCDC have been adopting new technologies and rules that ordinary citizens may not be familiar with. How does MCDC engage with citizens? Before we change something, we collect data first because data supports reasoning for making changes. The MCDC team were well-prepared for complaints from citizens. We have concrete reasons for every change in the city. We also have elected MCDC members who are the focal people for engaging with citizens. Does MCDC face issues with changing the citizens’ old habits during the period of transitioning to a smart city? We try to make citizens follow rules. Trust is vital. They need to trust that we are making positive changes for them. If citizens don’t follow the rules, all the money we spend will be wasted. I think citizens have changed a lot. It’s like the broken window theory: a building with a few broken windows is more susceptible to vandals breaking the others. A clean space with no trash discourages people from littering. I believe citizens can control their own community to follow the rules. In some townships people organized small trucks to collect garbage. We just need to provide the bins and gather all the garbage at the same place. They also installed CCTV to see who is continuing to put rubbish in the wrong place because some people are used to throwing near the bins. There are penalties for who those don’t put rubbish into the bins directly. I heard that smart city concept came from a city mayor who was very passionate about urban planning even before he became a mayor. What is the role of Mandalay’s mayor during this transformation? All the decisions for the city were based on Mandalay’s mayor’s vision. The mayor was brave as he dared to make decisions to buy the latest technology. If he is not brave, I would have to work with China-made machines and the result would be stumbling. Whenever we have to use part of the budget for technology or software or machines for the smart city, we have challenges with the audit teams, but the mayor always explains to them that long-lasting products are more expensive. If he didn’t understand those kinds of things, we would never get the best technologies or machines for the city. MCDC have introduced new technologies in many sectors within a short time. How was the budget managed? Some high-tech software was donated by foreign companies. Mostly, we got discounts because the companies want to show Mandalay as an example. If the project results are good here, the company will be able to advertise their products to the rest of the country. MCDC didn’t receive budget for this project from the Union government. After we collected building and population data, we received more taxes from the citizens. Moreover, the RFID systems at the toll gates are providing a huge income for MCDC. After we use technology in the public service sectors, including in toll gates, water meters and others, our income significantly increased. In the past, people used to build or renovate buildings without MCDC’s permission. Now we use drones to get actual figures and photos of buildings. Citizens understand if they build without permission we will immediately trace it from our data center. As a result, the income from the building permits has also increased. Every change faces resistance. Sometimes the resistance exists even within our employees. When we installed the GPS systems on garbage trucks, some employees put water in them so we couldn’t trace their routes. We had to warn them that if they do it again, we will take serious action. There are challenges dealing with some ministries. For example, at the riverfront area, a ministry has given permission to private sand companies [to take sand] so the area is so messy. However, we can’t manage that kind of thing because it is not under our control. Public transportation is not under MCDC’s control. Even though drivers are breaking the rules and regulations, we can’t take action against them. They aren’t afraid of us at all. Sometimes I joke with my ethnic friends that we also want federalism in Mandalay as well. What are the future plans of MCDC? We are planning to do standard mapping in order to easily find any location in Mandalay. We will draw up street direction signs using systems of international standards, particularly the United States’ standardized system. We have been working on a payment gateway system so citizens don’t need to come to the office to make payments on property taxes, construction permits and other municipal taxes. In the future, they will be able to make payments using QR codes at the nearest bank. Technologically it is almost ready but we still need to negotiate with private banks. MCDC is looking to buy standard facial recognition technology which could help police in investigate crime cases. A wastewater treatment plant is now under construction and we plan to clean all waste water in the near future. MCDC is also working with Japan to draw up a drainage master plan to solve flooding on the roads and other issues. We will bring in new technology for drainage systems in the future. I can’t predict when or if Mandalay will achieve full smart city status but we will leave all these achievements made during our administration as a foundation.